Before I get any further, this begs the question: what are skillful play and counterplay? Skillful play is the ability to use one’s abilities in multiple ways depending on the situation, whether offensively or defensively, and tailor those abilities to best succeed in a fight. A good example of this is a thief’s shadowstepping ability. It can position a thief anywhere, to gank or to avoid the AoE deathstorm. Counterplay is the ability to “out play” someone else’s ability use by exploiting weaknesses against the strengths of those abilities. Counterplay can be generally anything, so long as it counters, but some good examples are interrupting a heal ability, or blinding a warrior’s burst attack. NOTE: I’m going to have a much more in-depth article on these concepts after I finish this post series. Right now, necromancer is built to be easily counterplayed, while lacking the nuance of skillful play itself. Beyond the raw novelty of Death Shroud, necromancer abilities generally only have one, maybe two uses. Further, and worse, necromancers lack the ability to counterplay other professions except in very rare, niche cases. Part of the attrition philosophy is once a necromancer commits to a fight (or is committed by someone else), she will not leave it until the fight is over. As a result, necromancer mobility boils down to swiftness, dodge rolls, and exactly three long-cooldown teleports (one stuck in Death Shroud), one requiring a target, another requiring a minion, and a third requiring movement first. The flipside problem of this is that a necromancer has no way* to reliably keep someone else in the fight they are in. Everyone else has the ability to simply leave, with no-requirement mobility skills, whether they be leaps and rolls, shadowsteps, blinks, or teleports. *Okay, Spectral Grasp is a thing, but it’s extremely glitchy and easy to miss. And on a long cooldown. In other words, countering a necromancer is trivial: leave. Attack from afar, then jump back in to burst, if they’re standing on top of an objective you want. The extent of a necromancer’s skillful play in this instance is to use cooldowns properly and wait for people to screw up. Another part of being an attrition tank is the need to be in the fight. Skirting the edges doesn’t work for a necromancer to be effective, barring popping the broken Lich Form and instagibbing someone with an unreasonable crit. A necromancer in the thick of things is dishing out pain in mass quantities, whether by stacking conditions and fears at top speed, or ripping into people with daggers, axes, and life blasts. Untouched, a necromancer will single-handedly ruin a teamfight for the enemy. Only…if they’re touched, they’re screwed. Crowd control murders necromancers faster than an ambient bug. Death Shroud? Just a hit point sponge to burn through while a necromancer is stuck in a 2 second stun. Abilities? Nothing to stop the inevitability of damage dropping her into the ground. As what I can only figure is a counterplay / team support element, necromancers lack stability except in very niche cases*. So all it takes is CC and target focus to remove a necromancer from a fight. Even the otherwise easy to focus and eliminate ranger has more ability to avoid such an end. *Currently four, two of them elites, one of them extremely long cooldown, the final requiring a trait and the use of Death Shroud. The necromancer is a deliberate island. With few exceptions, they take what they want, but give nothing to others in the process. They strip boons, inflict conditions, but never share boons or other ways to help the team*. *Other than being a lightning rod of aggro when they show up in a fight. Part of this selfishness is the relative inefficiency of the conditions necromancers inflict. Rather than being condition masters, necromancers are merely condition users. Some other profession does a better job of inflicting any condition except fear*, raising it from “negligible usefulness” to “serious pain in the enemy’s backside.” And fear is negated by both stability and condition cleanse. *To wit, bleeding and torment by warriors or mesmers, crippled and poison by thiefs, vulnerability by engineers, burning by warriors or guardians. The one thing that necromancers do exceptionally well is boon stripping, with Well of Corruption, traited Dark Path, and Corrupt Boon easily outdoing the next-best competitors of mesmer and thief. But short of stripping at the tail end of a fight when someone needing boons is fresh out of cooldowns to reapply them again, boon stripping is of limited usefulness. Conditions, boons, and the use thereof is an area where necromancers quite simply lack skillful play. The only option with a boon strip is when to use it, and whether that timing is effective. The only way to make conditions a threat is to keep smacking away with scepter 1 or cycling the cooldowns. There are no “second ways” to use either. Countering such a binary thing is simple: force bad usage. And since necromancers get instant target focus, that’s a trivial side effect of murdering them in five seconds. With the reaper being revealed last week, the same questions need to be asked: where is the skillful play? What about the counterplay? Based on the skills presented, there is a lot more skillful play involved in playing the reaper than the base necromancer. The execute skills work much better when used on low targets, the shouts increase in effectiveness depending on the number of enemies hit, and sticking to a priority target inflicts so much chill they can’t get away. A reaper even gets stability on a short cooldown. But part and parcel of all of these positive moves is the continuation of easy counterplay for enemies. Chill doesn’t affect blinks, shadowsteps, or teleports, removing the reaper’s main strength: reliable and continuous chill on any target they get on top of. All of their attacks are deliberately slow, inviting the now-even-more-interrupt-empowered mesmer to go to town, or a thief to drop Black Powder and start shooting. In other words, reaper is only at its best when enemies aren’t trying to stop them. And at any other point, they are unable to actually hit their targets reliably. The chill spam slows down, and the necromancer is stuck always trying to close the distance to her target. All of these elements point to one core flaw of necromancer: they thrive on the enemy’s incompetence. A necromancer untouched will wreck your day. A necromancer even marginally paid attention to gets nothing done, because they’re too busy running around trying not to die. This is atrocious for proper skillful play and counterplay. If a necromancer has to rely on her opponents being trash, then there is no skillful play, only better play. This, more than anything, points to why necromancers are utterly absent from high-level play. A necromancer is so easy to beat with enemy counterplay that she stands no chance once a certain amount of skill is present. None of the problems I’ve highlighted I believe were intended, where the extent of a necromancer’s skillful play is how much better she is than her opponents. But each was the natural follow-on of specific design decisions without the next step required to keep both skillful play and counterplay at a functional balance. It should take a significant investment of resources to leave a necromancer once she’s engaged on an enemy. While elements of this are present in the pulls (Spectral Grasp), chills (multiple sources), and unblockable teleports (Dark Path), they have downsides like unreliable functionality, limited effectiveness, and long cooldowns. Not to mention how few options there are. Pull tracking is miserable. Barring completely level ground at less than maximum range, a pull will miss, being “obstructed” or “out of range” when it’s really not. This negates the strength of having such a skill, and won’t get better with Reaper’s Grasp (new greatsword #5)*. *Though likely it’ll be better due to much shorter range. Additionally, Spectral Grasp has an exceptionally long cooldown for its limited functionality, likely buoyed against the 15% life force gain the skill also has, conditional only on hitting, not on pulling. Change Spectral Grasp to give less life force, while lowering its cooldown. Increase the skill’s reliability (and consequently, the reliability of any projectile-based attacks). Chill operates in a weird space. It affects the distance of leaps, dashes, and rolls, but does not affect blinks, shadowsteps, and teleports. Further, it doesn’t affect a thief’s initiative, and thus its weapon skills. Combine these with the fact that the necromancer is one of the best generators of chill (and a reaper even moreso), and their chief weapon for keeping people stuck in the fight with them is only effective half the time. 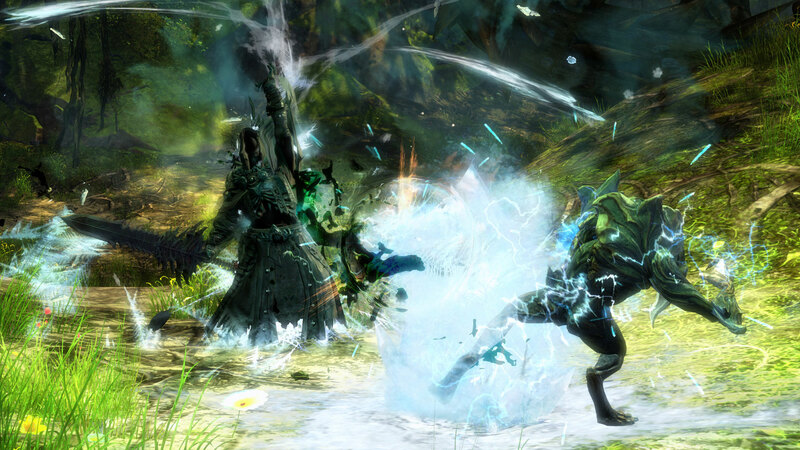 And not against their strongest counters (mesmer and thief). Chill affects the maximum range of blinks, shadowsteps, and teleports. Not to the drastic extent it does leaps, dashes, and rolls (66% less distance), but closer to 33% less. This retains the needed mobility, but makes it easier for a necromancer to keep them nearby. Chill “steals” initiative. By that I mean, for every defined period of time that chill is on a thief (say, 2 seconds), they lose a pip of initiative. This is a more direct, and easier to fine tune, method of affecting a thief’s skills, without trying to fudge around initiative regeneration rate (especially with the number of ways a thief can modify it to begin with). Necromancers get a trait that increases their movement speed when they are moving toward a chilled enemy. This would fit very well with the “horror monster” approach of the reaper, when someone crippled by fear is the first to be caught by the creature. This creates situational mobility. Dark Path tries to do too much at once, which is a necessary consequence of the one-size-fits-none approach of the existing Death Shroud bar. If my previous suggestion about changing Death Shroud skills based on chosen core specialization lines is used, this would be fixed, as Dark Path could be tailored around either its role as an unblockable gap closer, or as a way to inflict conditions while stripping boons. Overall, I think necromancer should get more abilities to appear on top of her chosen enemy, after engaging them. This would likely be more suited to a Death Knight elite specialization, but it’s certainly a possibility already shown by mobs in Arah and Twilight Arbor. For a profession that must be at the center of the fight, necromancer has far too little stability. As previously covered, Death Shroud is a binary, limited option for defense, and easily chewed through just by applying some CC and target focusing. Raw health is a poor substitute for active defense, and it prevents skillful play, especially when part of that health is stuck behind a hefty cooldown (10 seconds, 7 if traited). 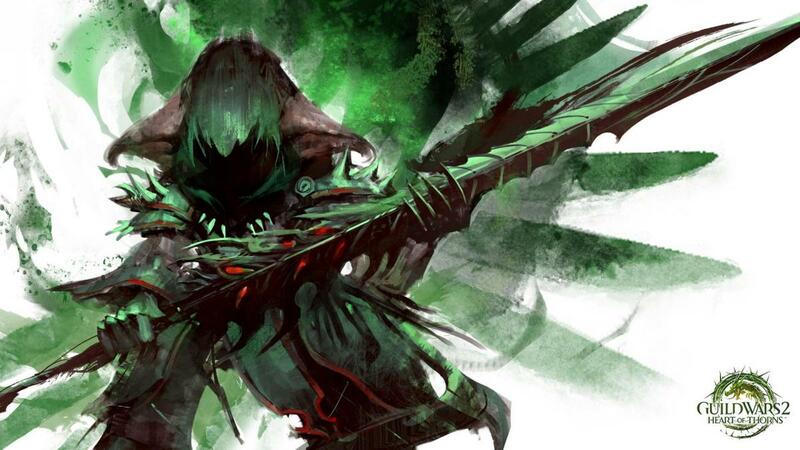 The reaper was crafted in recognition of this fact, because one of its reaper’s shroud skills is a pulsing stability channel that can be used outside of the shroud itself. But that doesn’t go far enough. Tie a break bar to being in Death Shroud (DS), with its initial level defined by the amount of Life Force present when DS is triggered. Once a break bar is broken, the ability goes on cooldown (suggested 10-15 seconds), locking out DS in the process. The cooldown also resets the break bar when it becomes available again. If a break bar is not broken before a necromancer leaves DS, however far it is broken is remembered by the game and it starts that much lower whenever a necromancer reenters DS. The break bar only recharges if a necromancer is in DS. The Life Force pool no longer reduces on its own. Instead, skill usage affects it by a percentage. (Side benefit, reaper’s shroud skill #1 chain becomes more directly self-sustaining). Damage taken still affects the pool. The cooldown on DS activation itself should be removed (it was overly punishing to begin with), while its minimum activation threshold of 10% should be retained (likely providing only enough break bar to shirk off a single stun). Healing, utility, and elite skills should be available in Death Shroud. Using a healing skill affects the underlying health pool. Do I “flash” DS to avoid this earthshaker stun? Or do I stay inside because there’s a guardian who just got Binding Blade off? Or can I not afford to enter right now because I’ll get locked out completely? Is my life force high enough to enter this fight and not be instantly killed? Does that thief have the damage available to force me out of DS? Can I regenerate the pool in time for the next major CC? When can I avoid focus so I can regenerate my bar? Or is it better to force a lockout so it resets? Are they out of CC and I’ll regenerate anyway? The necromancer has a full break bar. Does the team CC focus to remove it? Or do they simply inflict damage to end DS and force life force generation to access it? What about lots of soft CC instead of major ones? The necromancer has very little life force. What about throwing hard CC at her? Either she gets stunlocked, or she gets forced to lose DS when the short bar breaks. Maybe minor damage focus, or actively mitigating their skills so she runs out of life force. The necromancer is skirting the fight, steadily gaining life force. Do we focus her and force the engage? Or focus this other target that is running low on defensive cooldowns? If we kill the other target fast enough, the necromancer won’t be able to survive against us combined. All of this also actively removes the Sitting Duck problem that necromancer currently suffers. Simple, cheap counterplay elements like blind or daze need to be applied in a more effective manner, playing around the necromancer’s ability to temporarily mitigate them completely. Life force becomes more of a resource to be spent (and counterplayed around) than this unstoppable blob of hit points that steadily reduces to nothing. Necromancers get choices for how they engage a fight, rather than being committed to an impossible scenario. Implementing the above suggestions in some form would have the bonus benefit of preventing reaper from being hard-countered by the simplest counters as well. 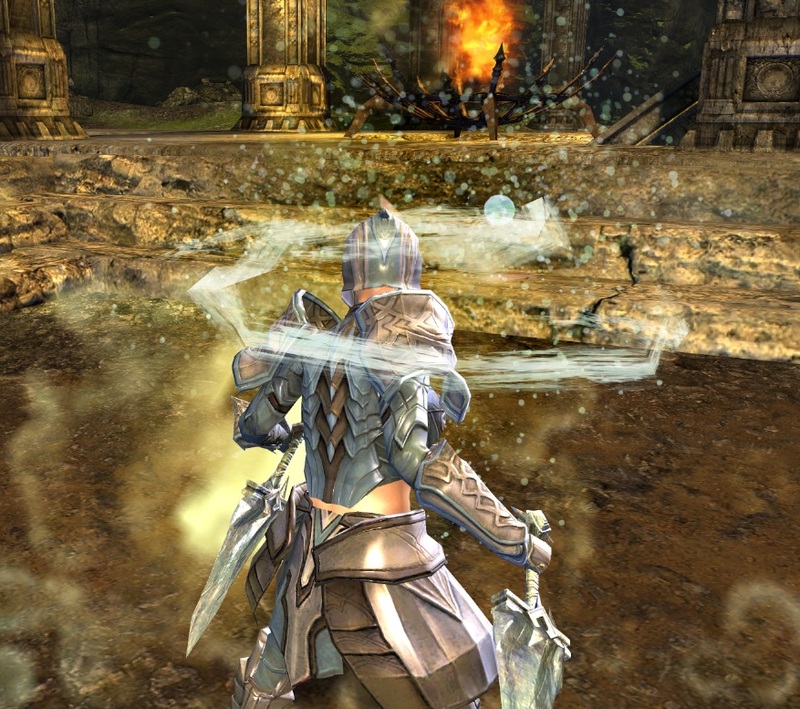 With an elite specialization even more committed to close-range fighting than the existing necromancer, this is a functional requirement to make it viable in PvP contexts. Skillful play and counterplay are the cornerstones of competitive PvP. When one is out of balance with the other, competitive skill disappears. If counterplay exceeds skillful play, the profession isn’t viable. If skillful play exceeds counterplay, the profession is a functional requirement for any team*. *As a quick caveat, the balance does not have to be perfect to create a good competitive atmosphere. It is when they are severely out of whack that these effects manifest. Regrettably, necromancer falls into the former camp. It’s trivial to shut down and eliminate a necromancer, regardless of their hit point pool. And they have few, if any, choices in the matter. To help rectify this imbalance, I have given some suggestions on improving the necromancer’s core identity as an attrition-based tank who thrives in the midst of the fight. Rather than relying on enemy incompetence to succeed, with these options they can play around what the enemy can do even at their best.